After the worst nuclear disaster in history at the Chernobyl nuclear power plant in 1986, over 200,000 people living within a 30km radius were evacuated to other cities, most never to return. Some, desperately unhappy with their new lives began to break back into the exclusion zone to resettle despite the risks. Although the exclusion zone is still in place and will remain so for many years due to elevated levels of radioactivity, the government eventually legalised a handful of resettlers, all over 70 years old. 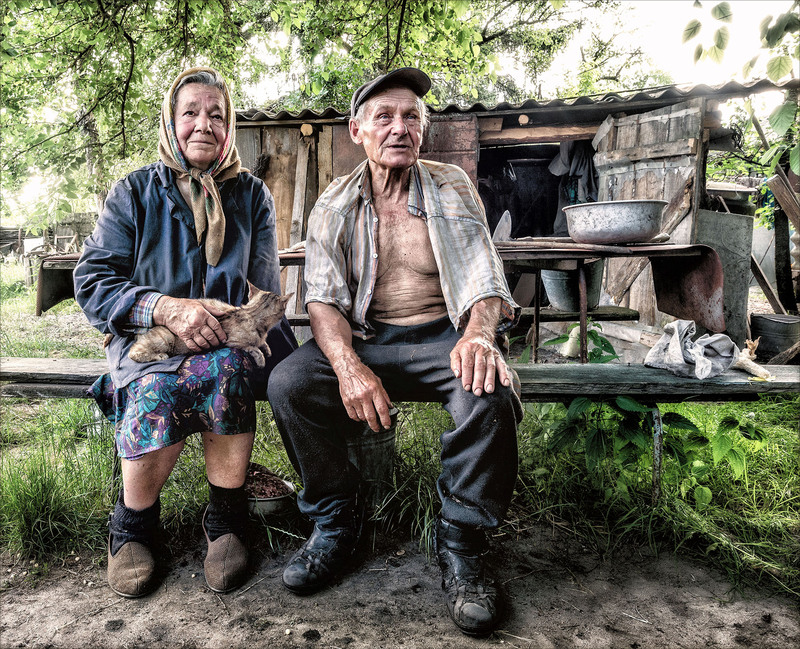 Ivan and Maria live happily with their cats amongst the radioactive hotspots, a few kilometers from the nuclear power plant.